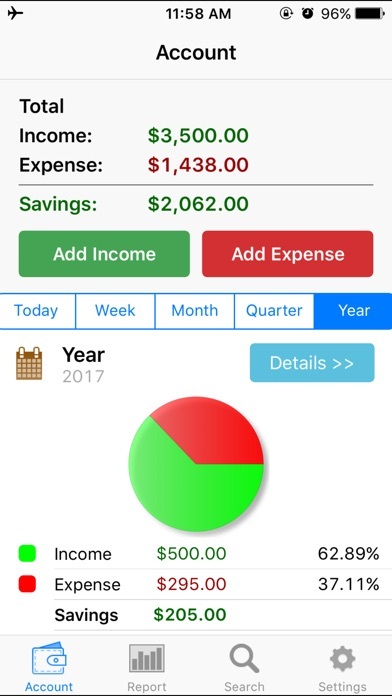 If you are looking for the best personal finance application, this is the app for you and it's free! Millions of downloads cannot be wrong! Designed for iPhoneX! iSpending helps you to track your income and spendings. 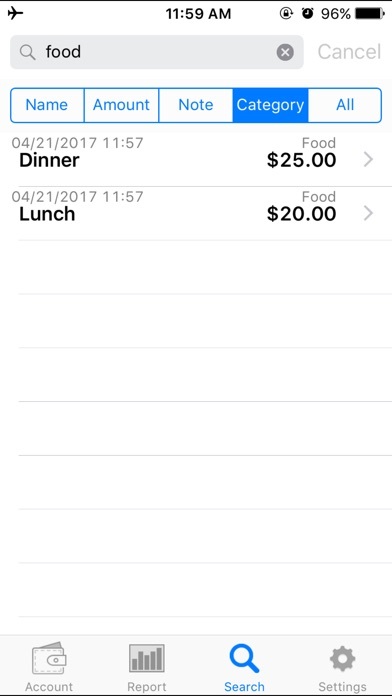 You can add transactions under different categories, such as income, food, entertainment. Summaries for today/week/month/year are displayed right at home page. You can view detailed report for each month in beautiful graphs and find transaction easily through search. Try it yourself to see more features, you'll love it! 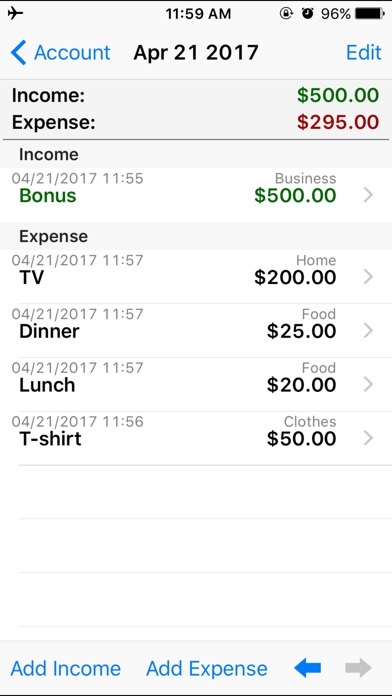 Features: - Add income/expense transactions under different category - Add customize spending category name - Add transactions quickly - Instant summary for today/week/month/year - Passcode lock - Export through email - View history records and compare them - Graph report for 1, 3 or 6 months time period - Separate graph report for income or expense alone - Search for transaction by name, amount, note or any of them - Polished UI, easy to use Send your comments/suggestions to hanamobiles@gmail.com or visit our website. 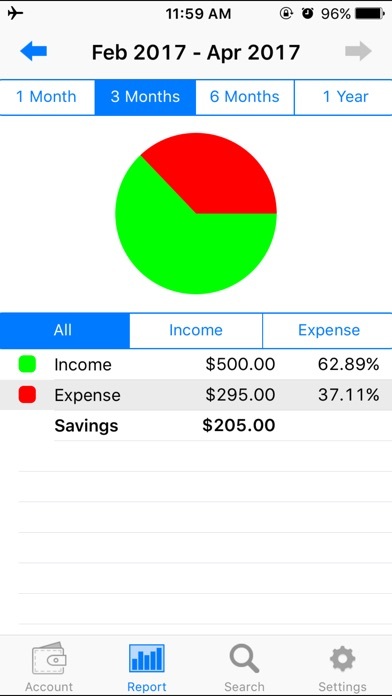 Such a basic tool to track spending. 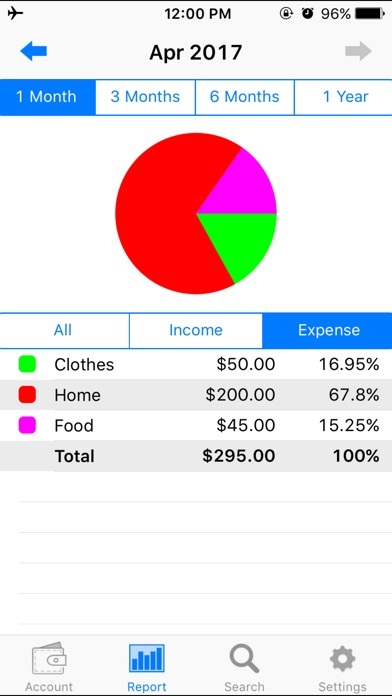 Manual input required, but that is all I need to tailor my spending tracking the way I want! It's useful and I put in first page of my phone, unfortunately I faced an issue when I export the report in Arabic it’s can’t be read. This app is free but you can add up to 18 transactions in each month. Pro version is not limited to this features probably. Overall, interface is not fascinating but simplicity was noticeable. App is very simple with very basic features. I used it for tracking income and expenses for a rental property. I recently upgraded my phone and ALL info typed into this app got wiped out (two years worth of info). It doesn’t allow iCloud to backup any data. Be very cognizant about downloading this app. It’s garbage or at least don’t use it for anything serious, because you just might lose it all. I’ve been using this for YEARS and it’s exactly what I wanted - not too complicated and not too simple. I can do EXACTLY what I want — as much or as little as I want. I can customize stuff if I want to get fancy but don’t have to. Way better than Mint and all the other apps I’ve tried. The fee is totally reasonable and all your data is backed up so it survives new phones and system resets and all that stuff. I’m doing a new budget overhaul with spreadsheets and will be redoing my categories for expenses in the app and I know it’ll be a SNAP. Such a great app — all the function and none of the confusing frills. So user friendly!! Great. Love that you can customize your categories. I wish they would update it so it was more sophisticated, especially when it comes to cookies remembering what you’ve typed so that you don’t have to type the whole word every time.